We have been fans since 1993 and we finally got to meet the band and they were so real and family oriented, just down-to-Earth guys! They played all their greatest hits and put on a great show! We will definitely go see them again! Art, Freddy, Davey, & Brian never disappoint!! They interacted with the crowd the whole time, & met & gave autographs after the show. They were completely down to earth, humble, & sweet people. This will not be my last Everclear concert! See you guys next summer!! The show was ok. Local H had two good songs. Marcy Playground was horrible. Everclear was good. Worst thing about the show was the crowd. Why do people come to shows if they do not want to move. Everyone was just standing around like idiots except a few of us. Everclear was great and put on a good show....so no issues there. Had regular VIP tickets....which was a waste for the most part and to pay for a "meet and greet" pre-show was a little too much to pay for myself and my 2 teenage boys. the standard VIP is really not much closer to the stage than GA.....so I wouldn't spend the extra money. Parking was reserved for VIP....so that was good. Entry was a little unorganized as apparently the "meet n greet" sessions ran ling so we had to toggle back and forth between the GA enterance and VIP entrance. The show was over an hour late starting. Show said it was all ages.....which as mentioned previously I had 2 teen boys with me.....yet drinks near VIP area only serves alcohol or water......so if you wanted anything else you had quite a jot. Didn't eat anything while we were there, but heard good things. A lot of rude patrons.....but that's expected most places you go. Overall rating is a 3.....maybe 3.5. EVERCLEAR NEVER DISAPPOINTS!!! Always incredible on stage and by far the most wonderful people offstage. 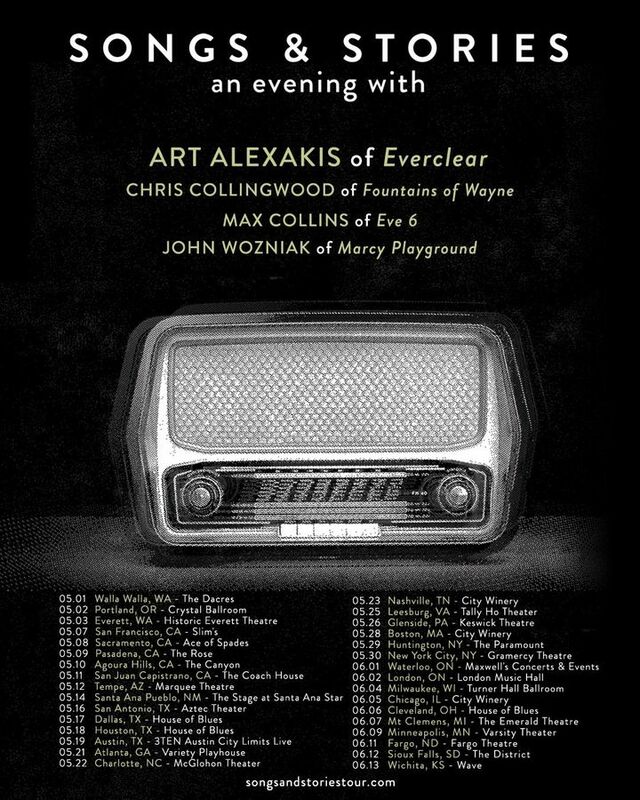 If the only artist I ever see again is Everclear I’ll be content, that’s how blissfully satisfied I am with this show!